Whether you're going out to dinner or chilling at home, we've got you covered! Deciding what to wear for that big Valentine's Day date can be intimidating, so we asked style expert Melissa Garcia to give us her picks. Whether you're doing something active or heading out for a romantic dinner, Garcia shared tips for finding an outfits for every type of date. Whether you're dressing to impress or trying to keep it casual, there's something here for you! It's still pretty chilly across the country, so the key to a flirty date night look is layers. Toss a luxe faux fur coat over a knit dress for an easy look that will keep you warm. This knit dress is great because you can dress it up with some festive accessories, but you can also wear it all season long with a pair of over-the-knee boots for an easy daytime look. Similar available in green from Nordstrom. The faux fur coat looks expensive, but won't set you back too much. In a deep black color, it looks great over formal evening attire and can also be thrown over a pair of jeans for a fun weekend outfit. Beaded earrings are very on trend right now, and these red statement earrings are a sophisticated take on the trend. 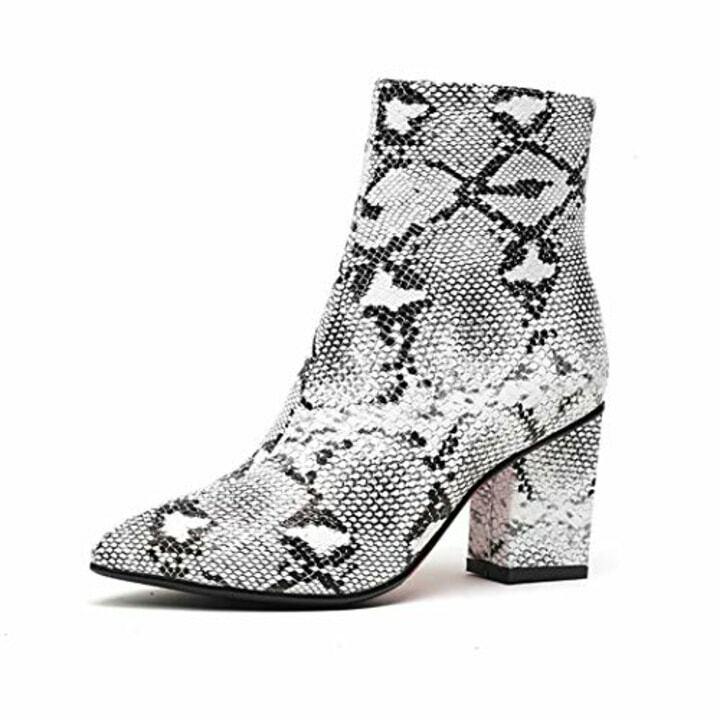 If you don't already own a pair of snake print booties, now is the time to invest. They can be worn with almost anything and add a trendy touch to even the most simple outfits. If you're going out to a restaurant for dinner, you can't go wrong with a sweater and a nice blazer. Your sweetheart will be thrilled to see you put the effort in for the special occasion. 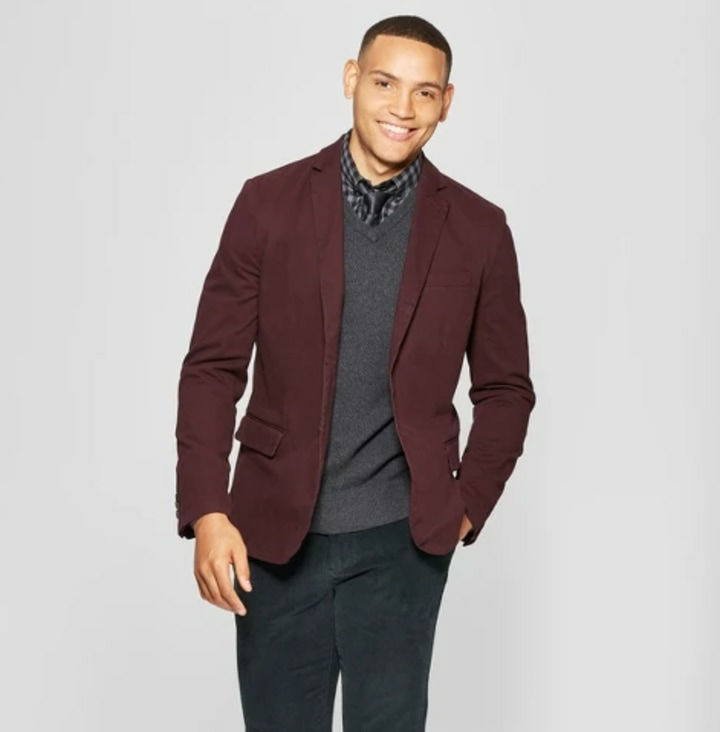 This burgundy blazer is a great choice because it can read as very festive on Feb. 14 but it's neutral enough to wear everyday if you're so inclined. 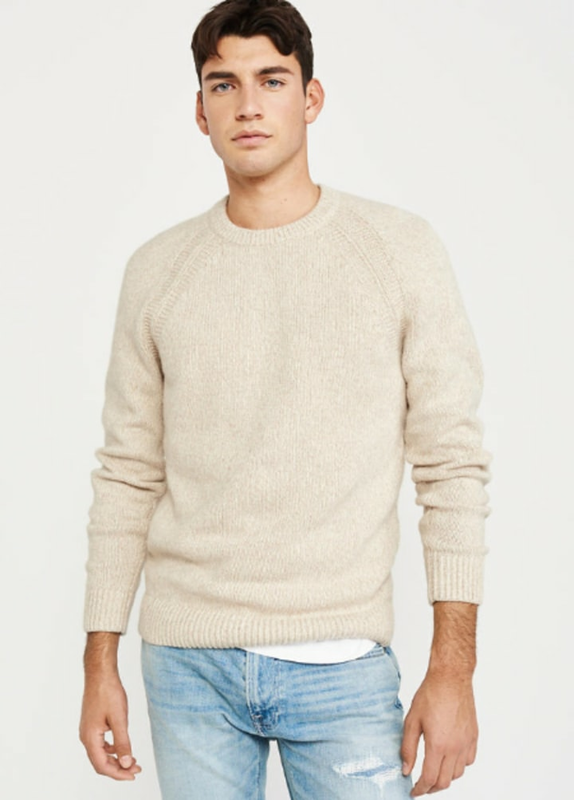 This cozy sweater would be great on its own, or layered over a nice button down. 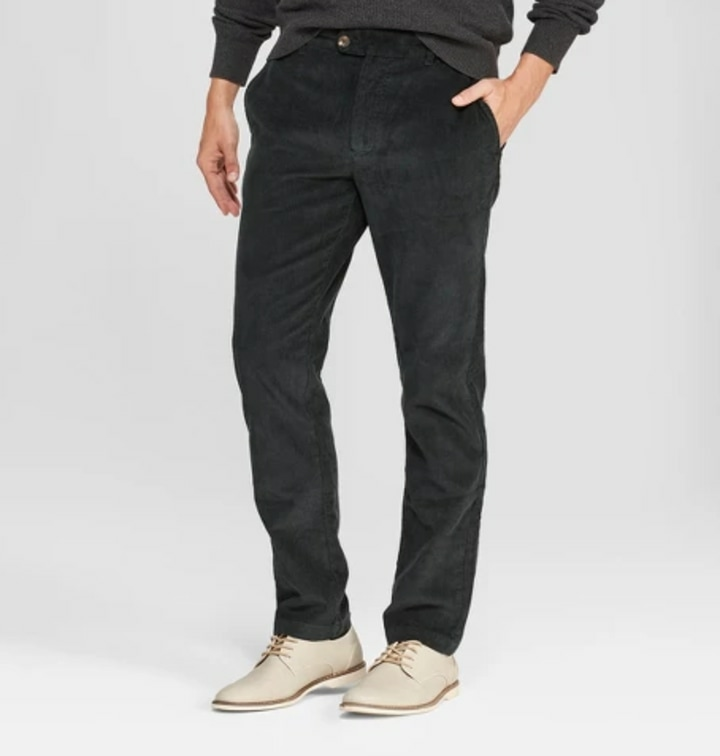 You really can't go wrong with a pair of corduroys and these navy pants are a great alternative to jeans. 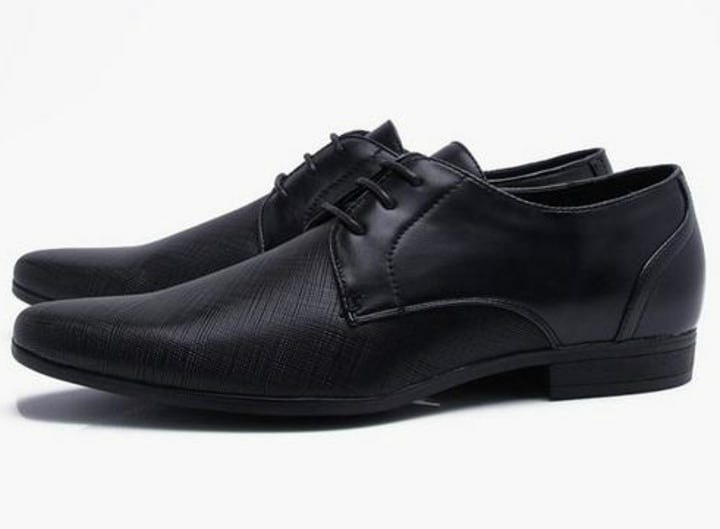 Add a dapper shoe and you're ready to step out for a hot date! If it's still early in the relationship, you might be opting for a more casual afternoon date. But that doesn't mean you have to skimp on style. Pair an oversized sweater with some sleek booties and you've got a cute but comfortable outfit for any activity. Similar available from Saks Fifth Avenue. 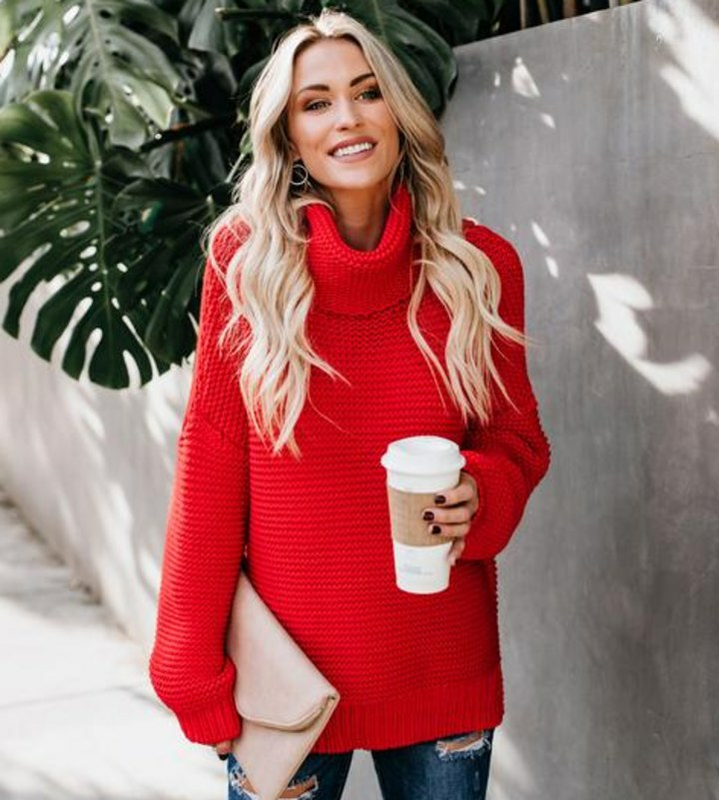 We love a chunky turtleneck and this red style is just perfect for Valentine's Day. Wear it with some black leggings or a pair of fitted jeans for an easy weekday look. 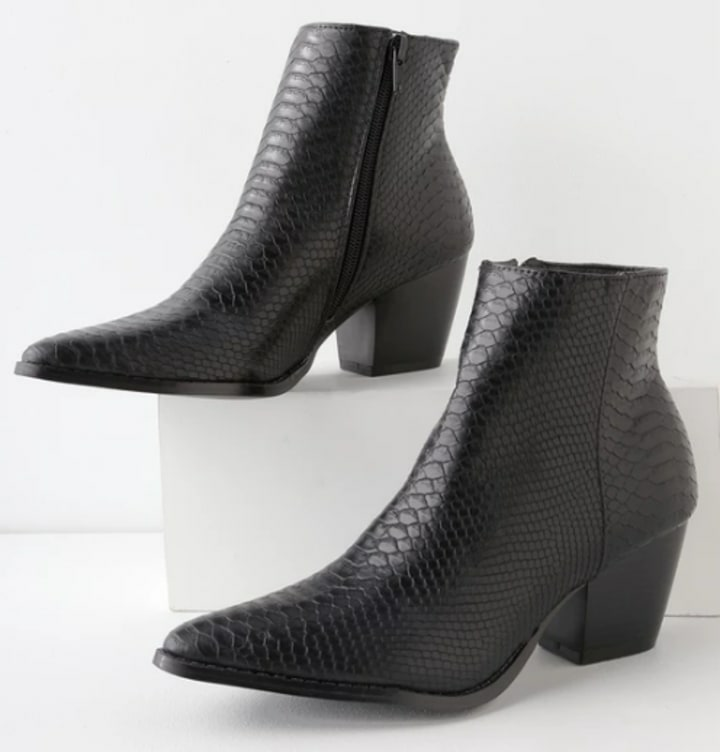 These pointy-toe boots are just a smidge more stylish than your classic black boot. If you're celebrating in the afternoon, that means you can definitely be a bit more casual but not sloppy. Stick with classics like jeans and sweaters for a comfy, stylish look. 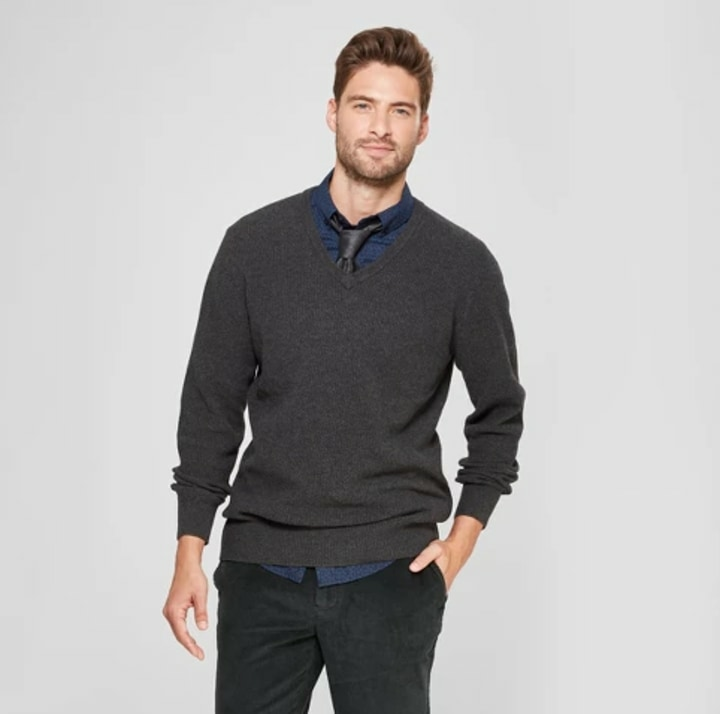 This crew neck sweater is the kind of thing that you'll be able to pull out of the closet year after year. 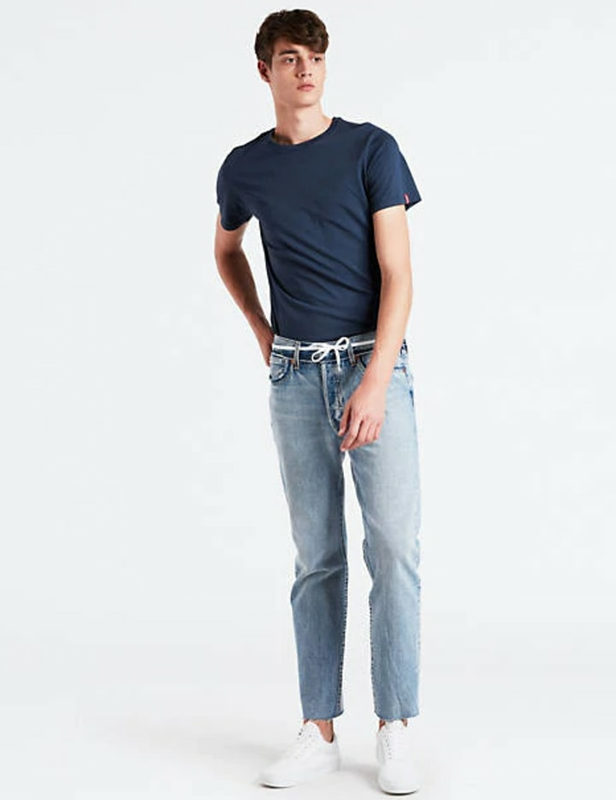 It doesn't get more classic than Levi's, and these original fit jeans are a necessary addition to any dude's wardrobe. If you're the kind of couple that enjoys going on adventures like hiking together, your date attire will need to match your level of enthusiasm for active endeavors. We've rounded up some easy-to-replicate suggestions. 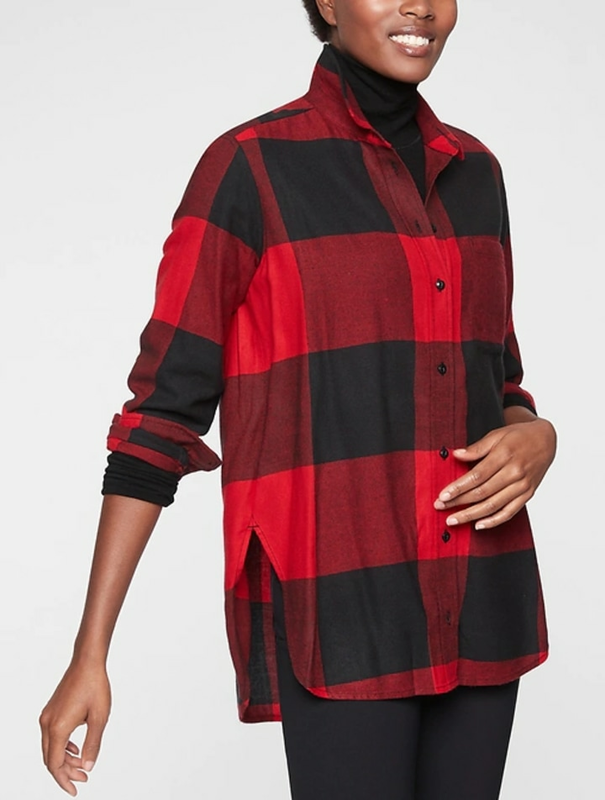 This cute black and red buffalo check flannel is a classic for a reason. Wear it open over a black tank or tie it around your waist for a trendy take on the flannel shirt look. Any date that involves leggings is high on our list. We like these because they have an unexpected shimmering pattern. 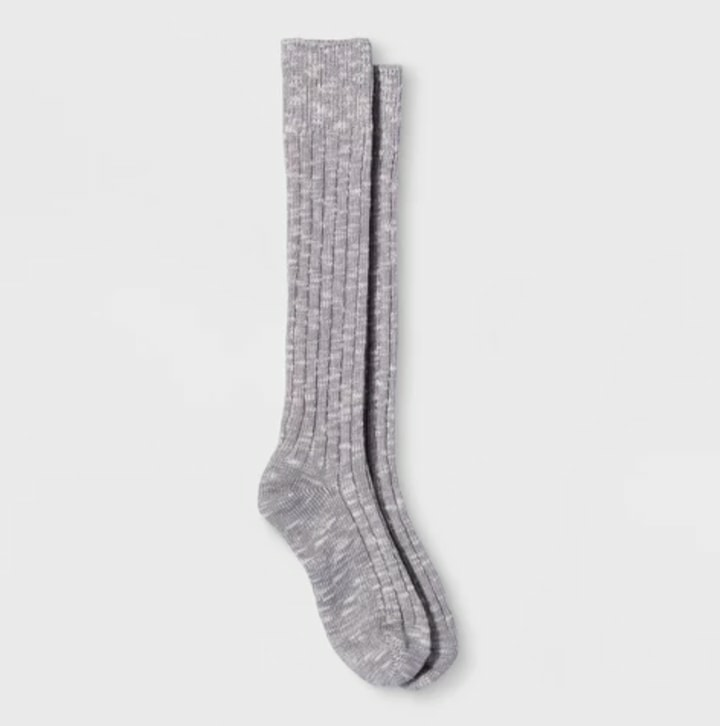 Let just an inch of these cozy socks peak out above a pair of hiking boots for a sporty but stylish vibe. 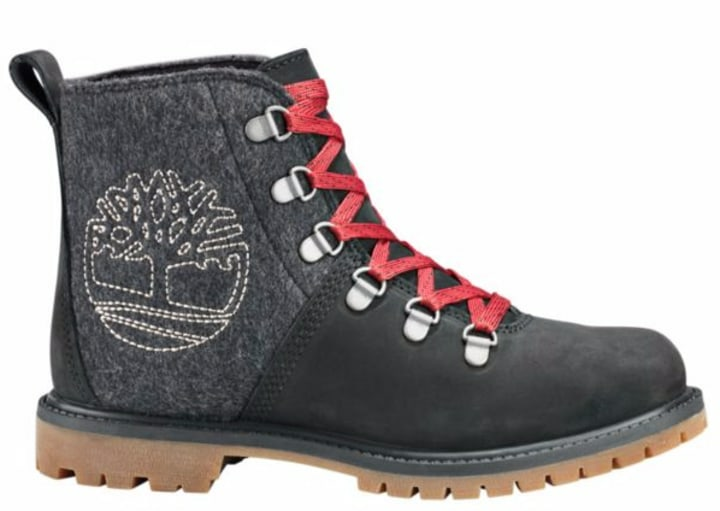 These hiking boots are an updated take on the classic Timberland. the red laces and two-toned design make them a perfect fit with the rest of the look. 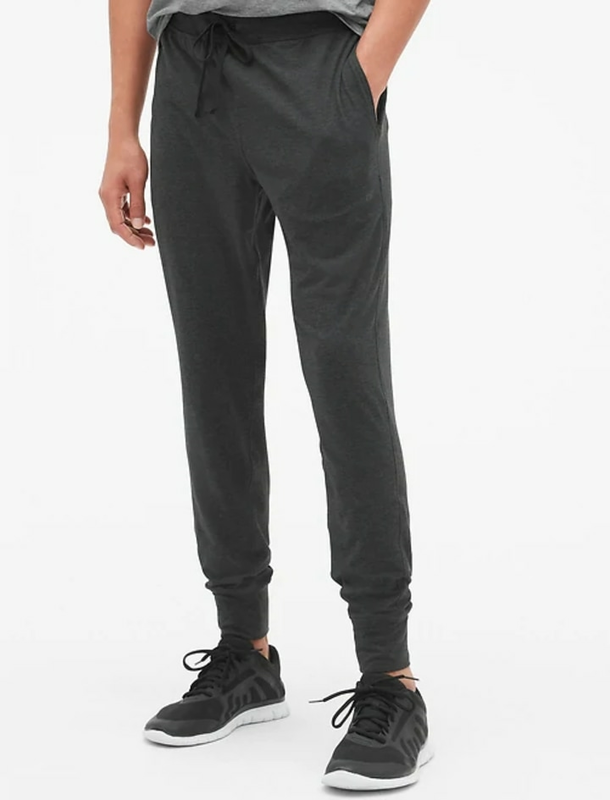 For guys, you really can't go wrong with joggers on an athletic date. They're comfortable enough for you to stay active, but look more sophisticated than a pair of sloppy sweat pants. 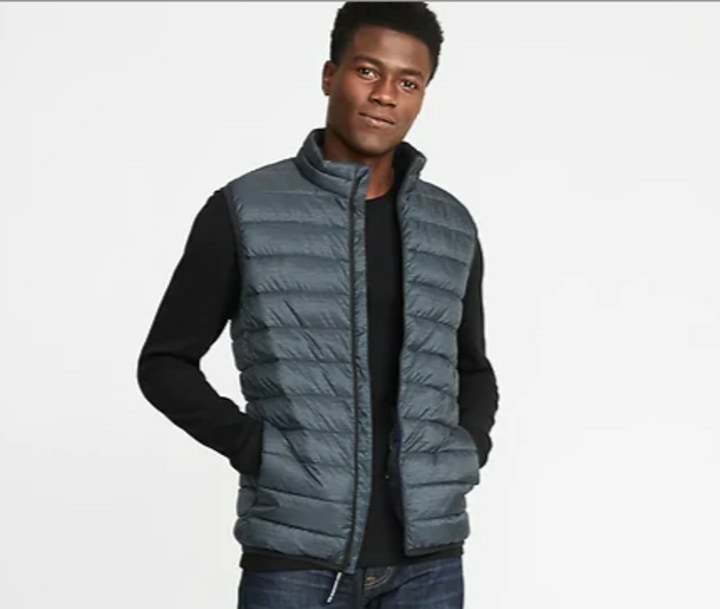 This vest would look great layered over a t-shirt on a hike or worn over a button down later in the season when the weather starts to warm up. Sweatpants you can wear outside? Sign us up! These classic Timberland boots would go well with any active outfit. 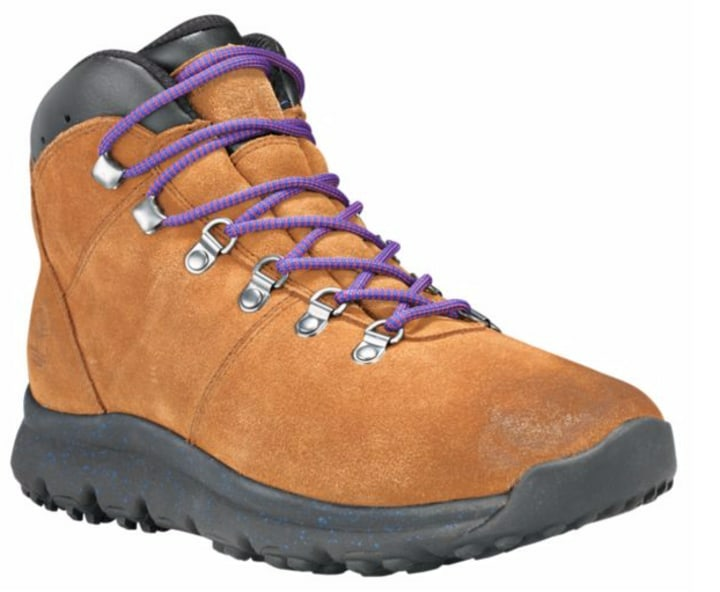 Plus, they stand up to the elements so you know they'll survive long walks in the woods. 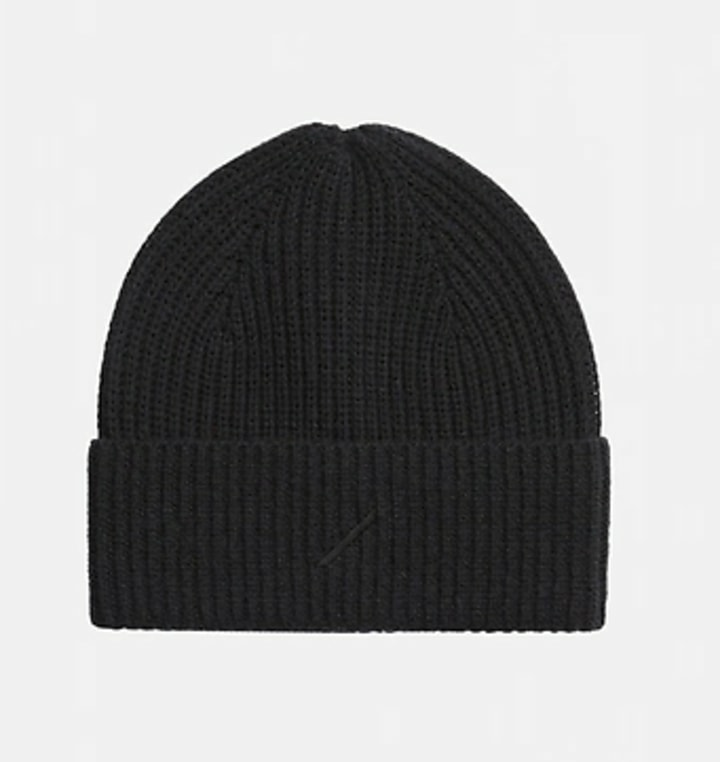 Top off the look with a cozy cashmere beanie for an effortlessly cool touch.